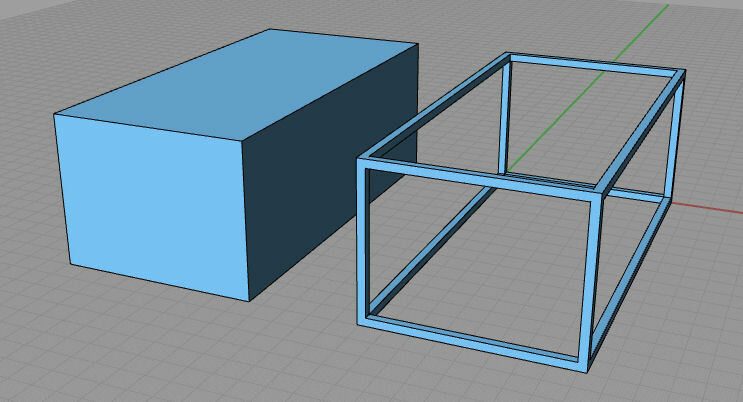 Summary: Demonstrates how to create a box frame with RhinoScript. Can the box on left be made into the frame on the right? It seems like a very simple operation, I thought maybe someone out there had already released such a script. The following sample code should do what you want.